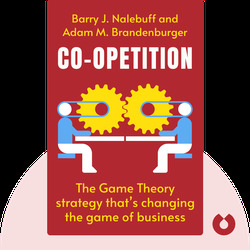 Co-opetition (1996) combines game theory with business strategy, presenting a roadmap for how to create a successful venture. 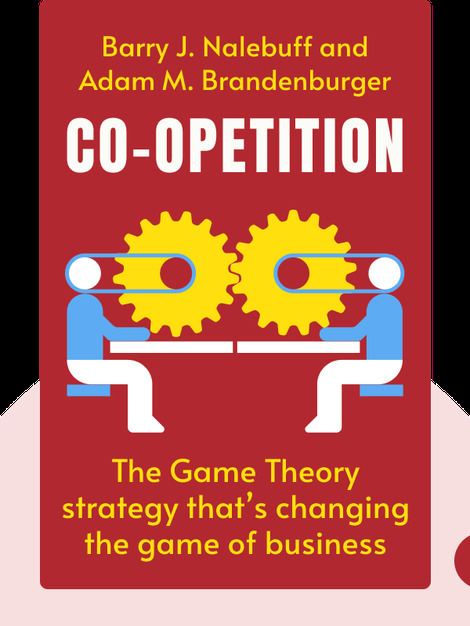 The authors explain how running a business is just like playing a game: it involves mastering the rules, knowing the players and the value they bring, understanding tactical approaches and being able to see the big picture. With these elements in place, you can utilize them to improve your own position in the game of business. Barry J. Nalebuff is a Milton Steinbach Professor at the Yale School of Management. Adam M. Brandenburger is professor at the Stern School of Business at New York University, and was previously a professor at Harvard Business School. Both authors have conducted extensive research on game theory.